Siam Yamato Steel, the pioneer in the production of hot-rolled structural steel of the construction industry in Thailand has dominated the economy of the country. It has been more than a decade that Siam Yamato Steel has grown and developed into the largest hot-rolled structural steel producer in Thailand with a vision to be a leader in the ASEAN region. 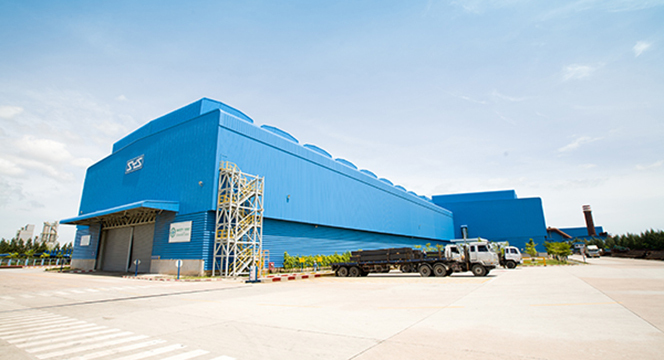 Siam Yamato Steel has 2 hot-rolled structural steel mills, operating in Map Ta Phut Industrial Estate and Hemaraj Industrial Estate, Rayong province with the total production capacity of 1.1 million tons of hot-rolled steel annually. By utilizing the advanced production equipment and technology to produce hot rolled structural steel, Siam Yamato Steel almost fully replaced the importation of heavy section steel from overseas, reducing heavily in huge national currency. Nowadyas, most parts of Thailand adopt the hot-rolled structural steel from Siam Yamato Steel. Due to the large area and complexity of the factory, Siam Yamato Steel needed to find a security system that best fit their needs and protect their assets. They are sourcing out an installer who can help them find out the most suitable products, install those products, and help them in the future project in case of any change required. Since the IP surveillance cameras are the trend, the traditional analog products no longer suitable for fast changing environment nowadays. Products with the reliable warranty and outstanding performance were the main targets Siam Yamato Steel was searching for. 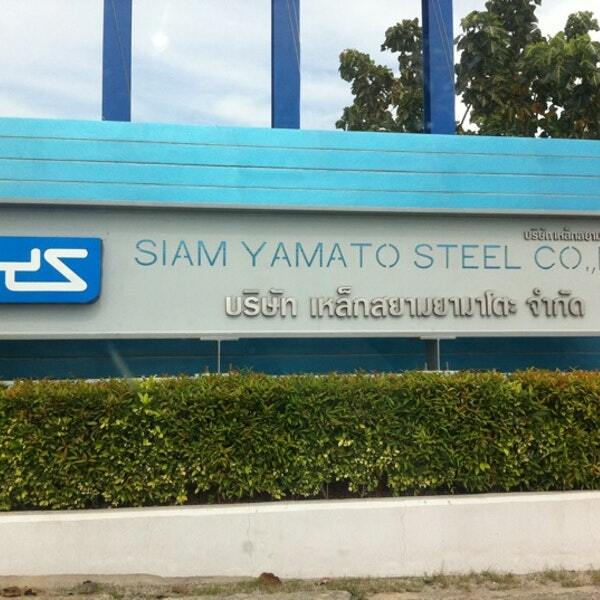 Siam Yamato Steel chose CMS to help install the system. CMS selected LILIN's latest products, including 113 pieces of Day & Night 1080P HD IP cameras MG1022, 15 pieces of 16CH 5MP Standalone Network Video Recorders NVR3816 and 25 pieces of H.264 1080P Real-Time HD Video Decoders VD022. All of the cameras are installed both inside and outside of the factory to prevent any dangerous incident such as theft, robbery or even the malfunction of the facilities. 16CH 5MP standalone NVR3816 were deployed in the engine room to effortlessly monitor and manage multiple IP cameras on a real-time basis, building gates to safeguard Siam Yamato Steel’s property. To enjoy the live video display, Siam Yamato Steel even deployed the VD022 at the entrance of the factory to connect to and display live images from LILIN IP cameras. VD022 is light-weighted with only 0.5 kg. It can be easily deployed at the ceiling or wall. VD022 allows the factory to connect a monitor with a single camera or 16 cameras as a quad view. 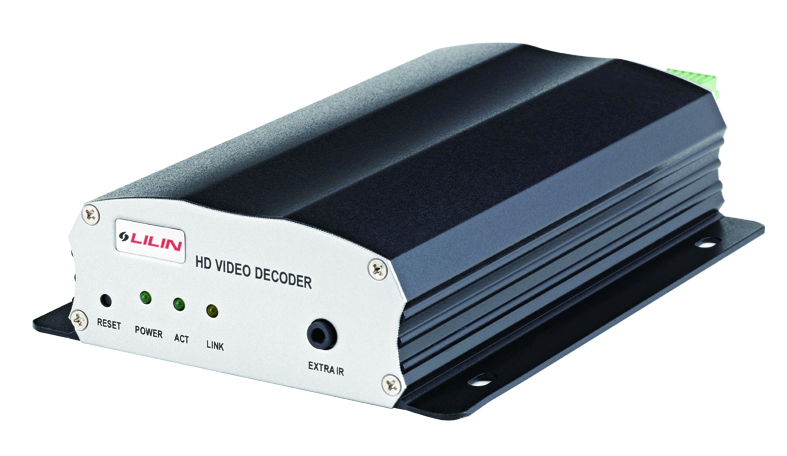 VD022 standalone HD decoder also allows the viewing of NVRs (Network Video Recorders) from a remote location. Simply by adding the device to the existing LILIN system and connecting to an HDMI monitor, it is possible to view up to 16-channel NVR/DVRs and HD IP cameras. LILIN is a global IP video manufacturer with 35 years of experience. Throughout the years, the company has maintained its dedication to Creativity, Progress, and Excellence providing expertise in digital video with a strong focus on innovation moving forward. LILIN leverages not only hardware designs but also in IP software engineering that delivers the best available performance coupled with astonishing reliable, future-proof, and easy-to-use features. LILIN is proud to have strong relationships with over 50 valued software and integration partners and is recognized as the first camera company to become ONVIF-conformant. LILIN is a multi-national company with headquarter in Taipei, Taiwan, and subsidiary global office branches in Australia, China, France, Hong Kong, Italy, Malaysia, Spain, UK, and the USA.